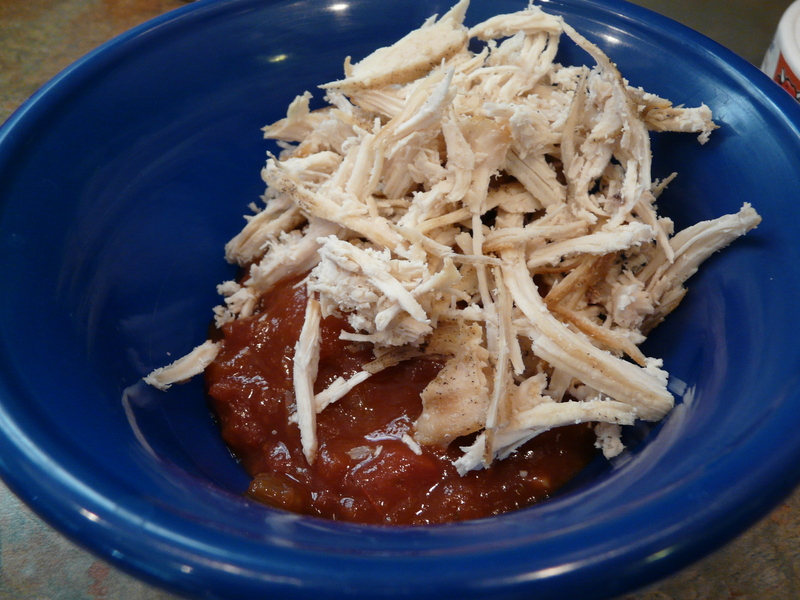 This is a really quick, filling, and downright delicious low-cal dish! I often make this for dinner or make it at night and pack it in my lunch…it’s actually not so bad reheated in the microwave. I serve it with a salad or a very large side of seasoned steamed green beans. 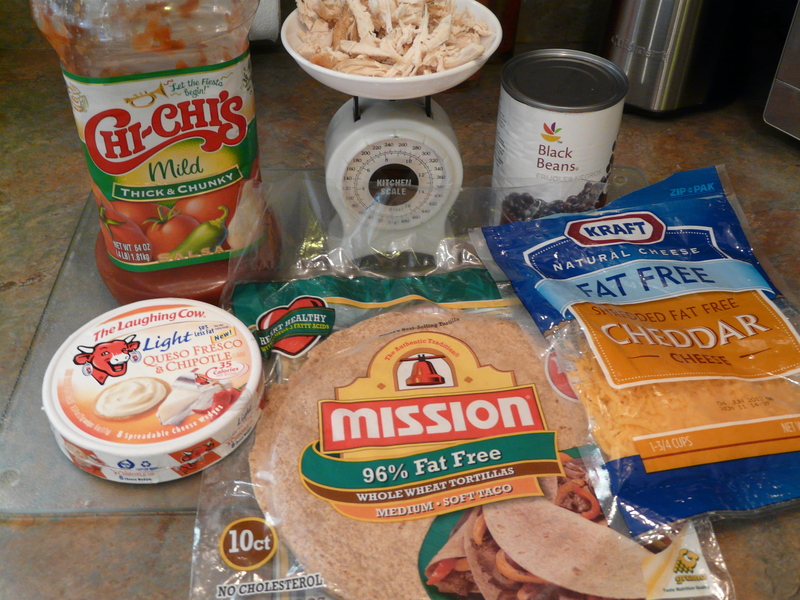 In the picture below, I used Mission 96% Fat Free wheat tortillas, but the low carb whole wheat tortillas are actually better in regards to calories and carbs and are less WW points. I picked these up because they were on sale :). Also pictured is my really old school kitchen scale (purchased at the Dollar Tree for $1!!). This scale has served me well for many years and I am sad to report that it just broke on Sunday! It has now been replaced by a more upscale digital version. I had to replace it quickly since a scale is one kitchen gadget I cannot live without. If I have learned anything about eating healthy…even when you’re not trying to lose weight, but want to maintain that girlish figure…it is that you should always measure your food. Portion control is so important and especially crucial for losing weight. I know you have heard this before, but I am telling you as someone who has learned from experience. I didn’t always measure everything because I thought I had pretty good judgment of what the serving size of something should be…and with practice I actually do have good judgment, but nothing compares to actually measuring it out. I now even keep measuring cups and measuring spoons at work for times when I eat things that can be kept at the office (i.e. salad dressing, cereal, milk, etc.). Yes, my co-workers look at me like I’m weird, but I don’t care! This time around on WW I religiously measure and/or weigh everything! So far this seems to be working out quite well as I’ve been losing weight at an average of 2 lbs. per week. Save using your “best judgement” for eating out. Some of you may wonder, “Should I measure fruits and vegetables?” I typically do not measure veggies because on WW you can basically eat as much as you want, but it is good to know what an actual “serving” of veggies is. For instance, did you know that a serving of asparagus is only about 6 stalks? I sure didn’t…I probably usually eat 20 in one sitting! But veggies have been my savior this time around in my weight loss quest. I fill up on a huge salad or a large side of veggies along with my other food at both lunch and dinner so that I am not hungry. As far as fruit goes, yes it is a better alternative to picking up that candy bar, but it still has sugar, so I do measure my fruit. Remember, the dietary guidelines for fruit is 2-4 servings per day and a serving is considered ½ cup or 1 whole apple, banana, orange, etc. Ok, ok…that concludes my advice for this post….let’s get back to the good stuff! This amazingly large and yummy quesadilla! Word of caution…this will be sloppy when eaten! 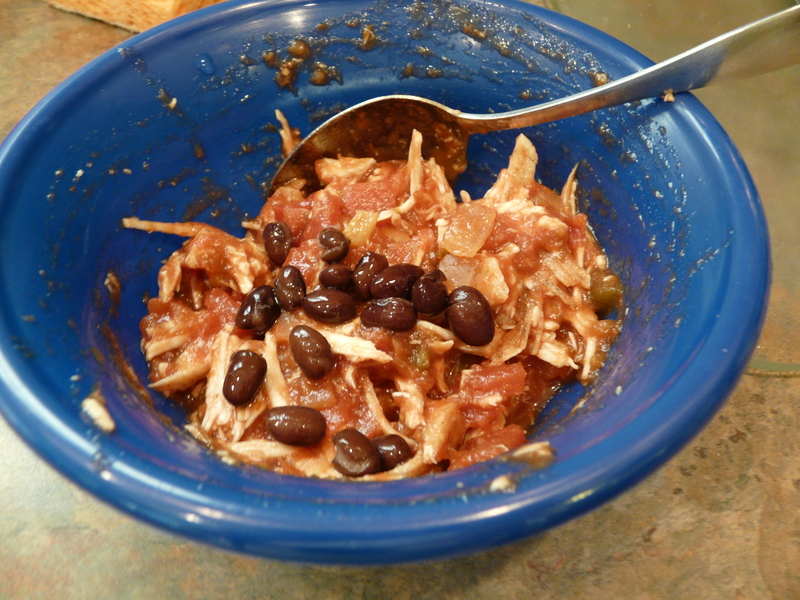 In a bowl, combine the salsa, chicken and black beans. 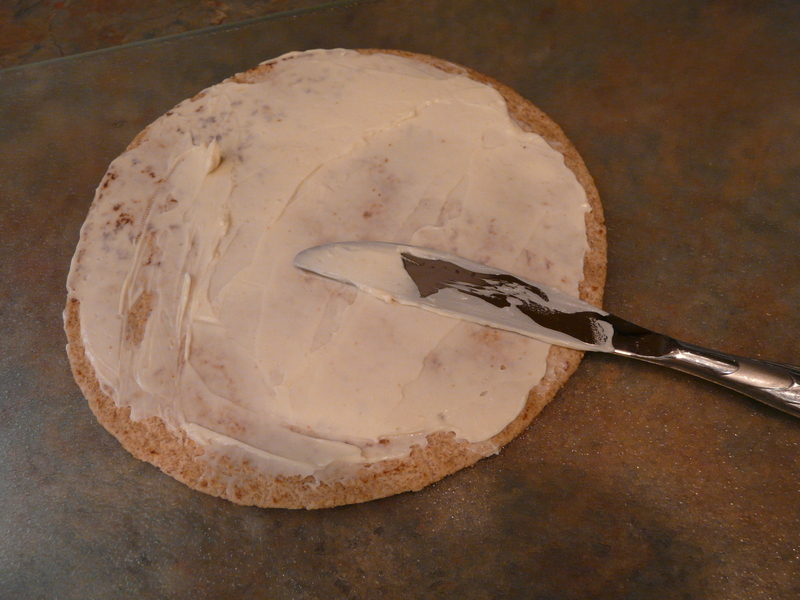 Spread the Laughing Cow cheese over the tortilla. 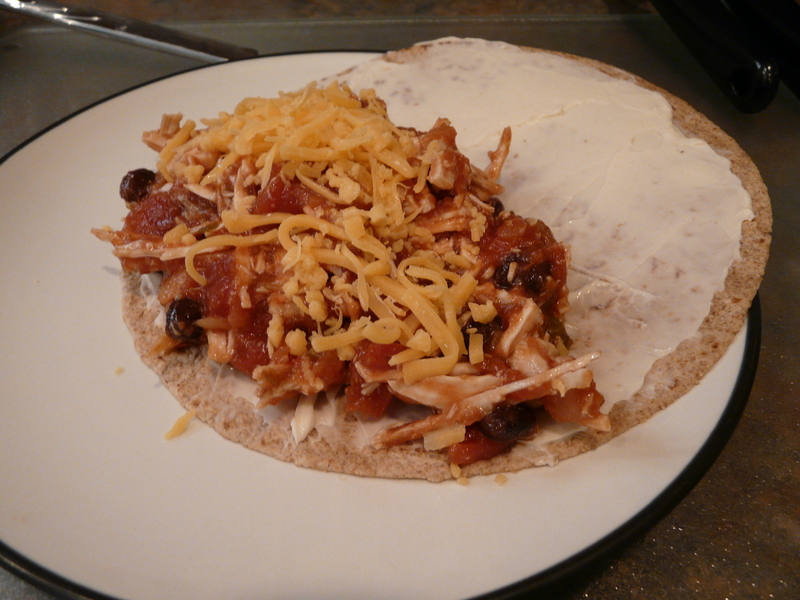 Spread the salsa/chicken mixture on half of the tortilla and top with the cheddar cheese. 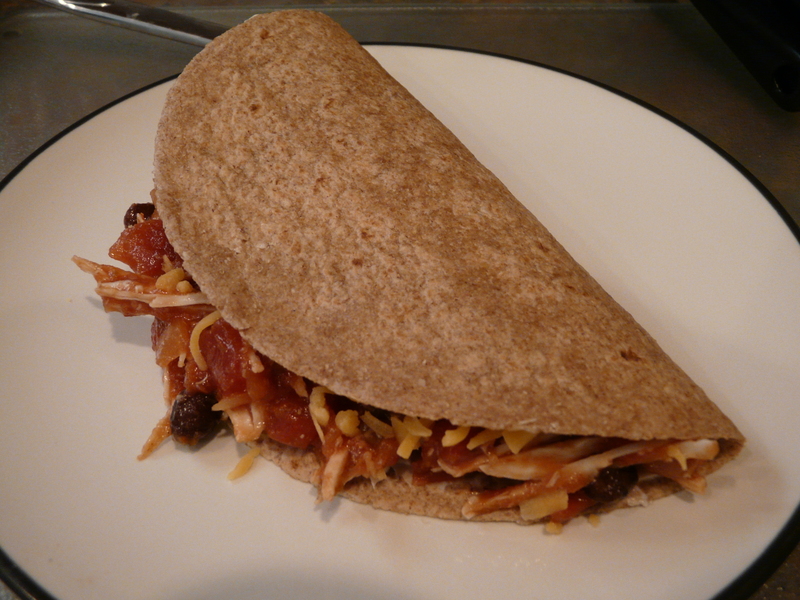 Fold over the other half of the tortilla and press down gently, being careful not to push out any of the filling. 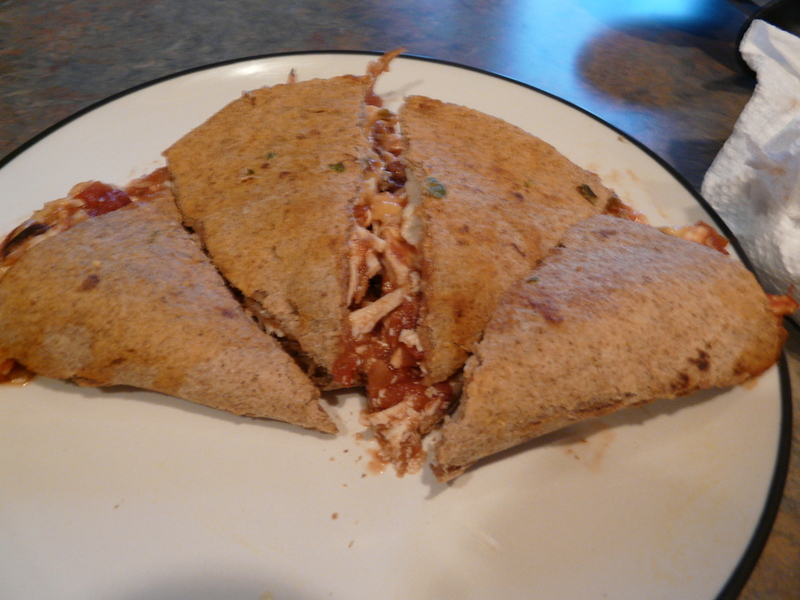 Remove from pan and using a pizza cutter, carefully cut the quesadilla into 4 pieces. Serve with extra salsa and fat free sour cream on the side. Don’t forget plenty of paper towels! 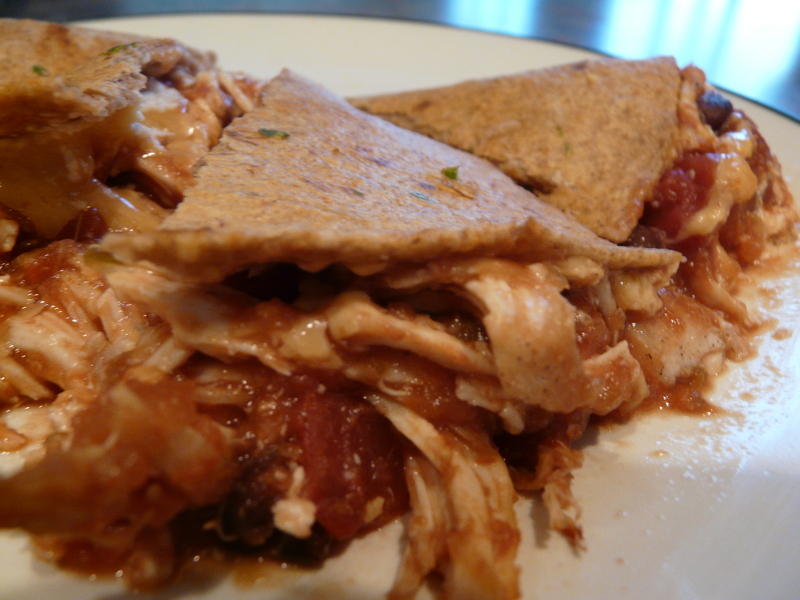 A slightly different version of a chicken quesadilla….I will have to give this a try for sure…thanks for sharing! !